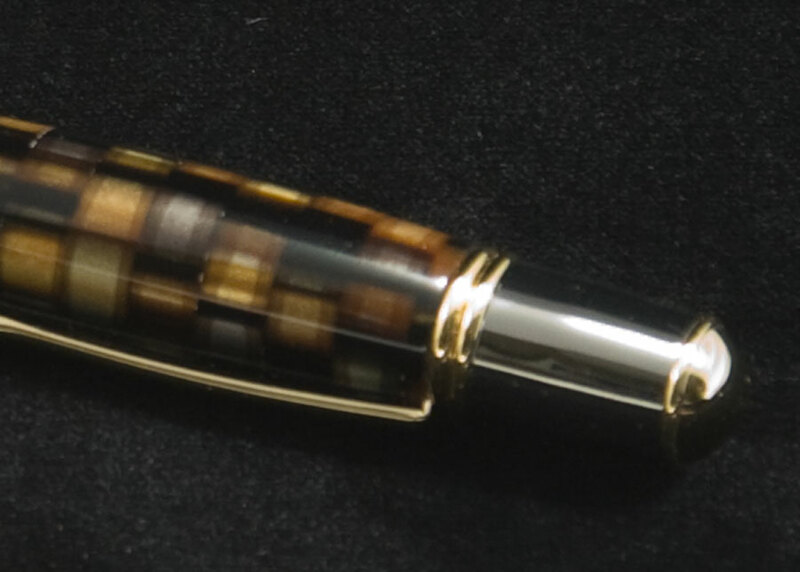 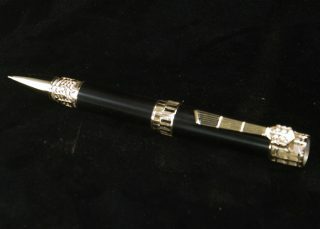 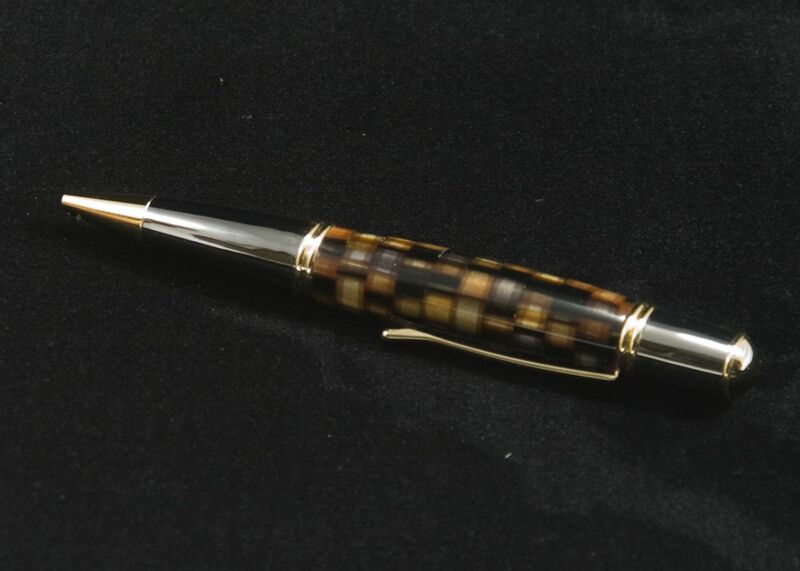 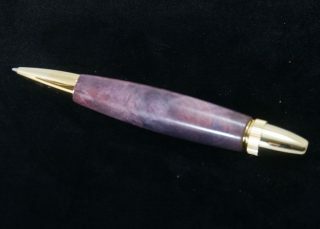 Like its namesake, this Gatsby gold and gun metal Twist Pen exhibits mystery, flair and elegance. 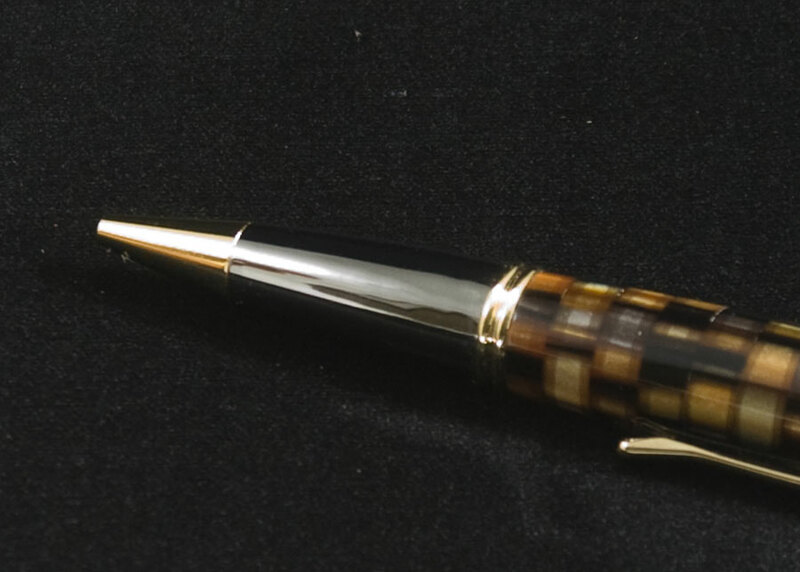 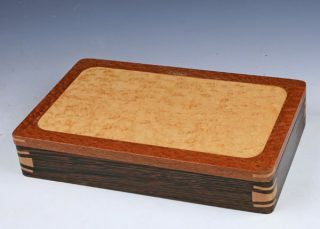 With its streamlined look, striking gold and gun metal components and smooth twist mechanism it will surely compliment any executive’s desk. Accepts Parker style ball point refills. 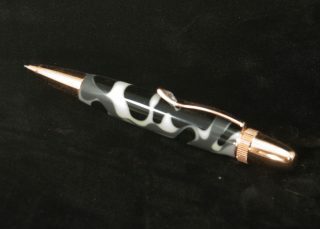 Hand crafted from acrylic acetate.